Alcove M.D.P. is Wicker Park’s newest luxury condominium and townhome development. Perfect for newlyweds and young families. Large condominiums with living spaces and bedrooms on a single floor make babyproofing easy. Thoughtful floor plans with high-end finish packages that you can customize. Professionally landscaped courtyard for outdoor fun with kids. Tucked away, but steps from Chicago’s best restaurants along Milwaukee Avenue and Division Street. Starting from $600,000. With 43 luxury condominiums and 12 townhomes in the heart of Wicker Park, Alcove M.D.P. offers city living at its finest. When selecting a new home, newlyweds are particularly conscious of their expanding family and have expressed a desire for space they can grow into… but on one floor. The condos feature both two, three and four bedroom units between 1,400 square feet and 2,400 square feet. Townhomes offer four or five bedrooms ranging between 2,900 and 3,400 square feet. Every unit has a private outdoor space and parking on-site. 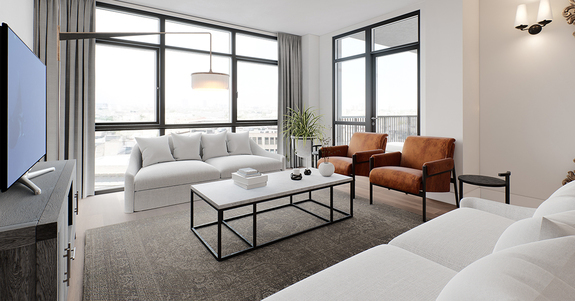 Many new families are expressing a preference for this type of product: easy access to the trappings of city life, a quiet quality home, a quick commute to the office, and single-floor living in an elevator building. NPN members get $300 off closing costs at Alcove M.D.P. Offer expires June 1, 2019. Click here to redeem the discount.